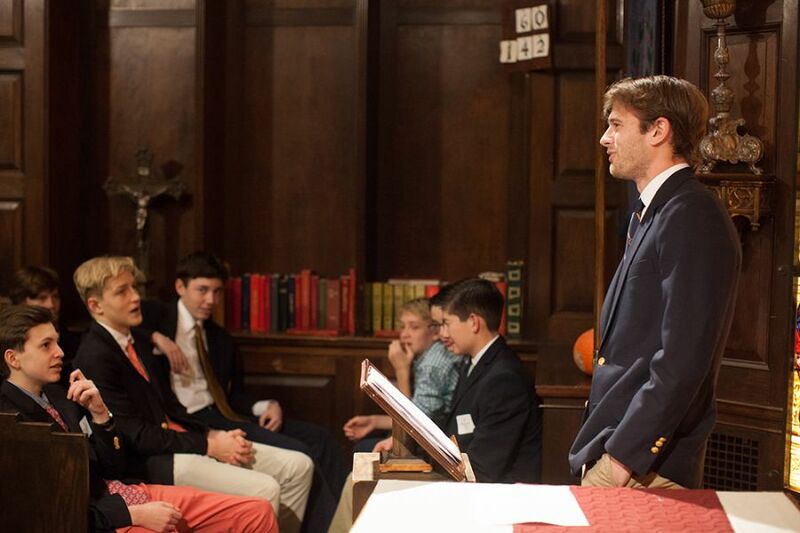 Young alumni joined the current eighth grade for the annual Young Alumni Chapel and Dinner, a pre-Thanksgiving tradition. This year's talk was given by Fernando Guimaraes '10. For more on this special event see the Headmaster's Blog.